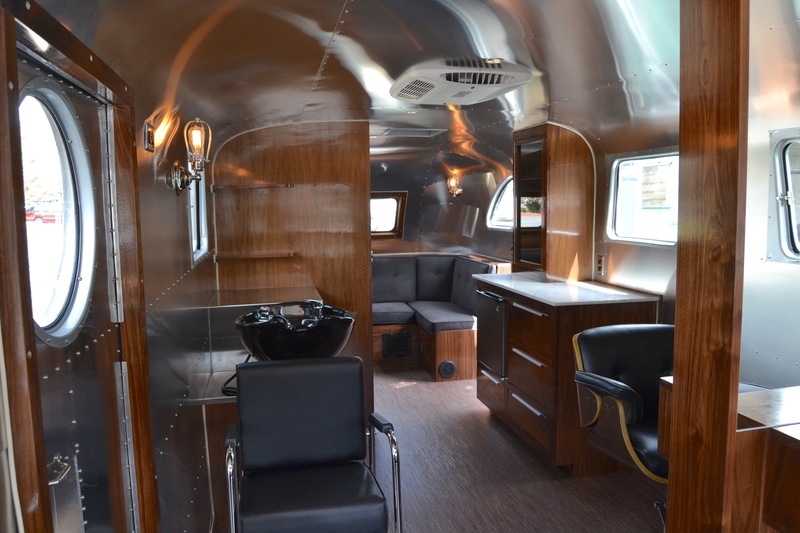 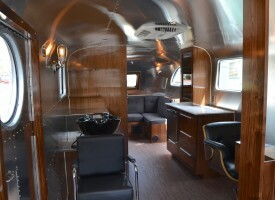 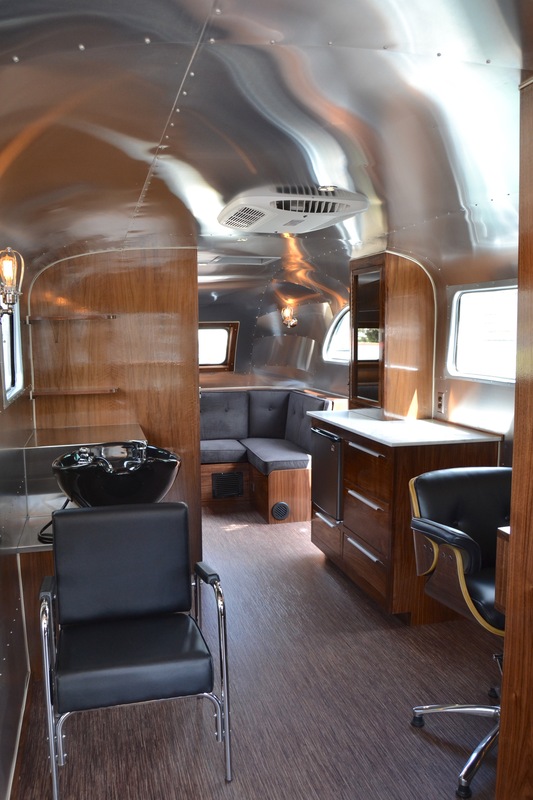 This 1946 Spartan Manor made the perfect shell for a mobile barbershop/ beauty salon. 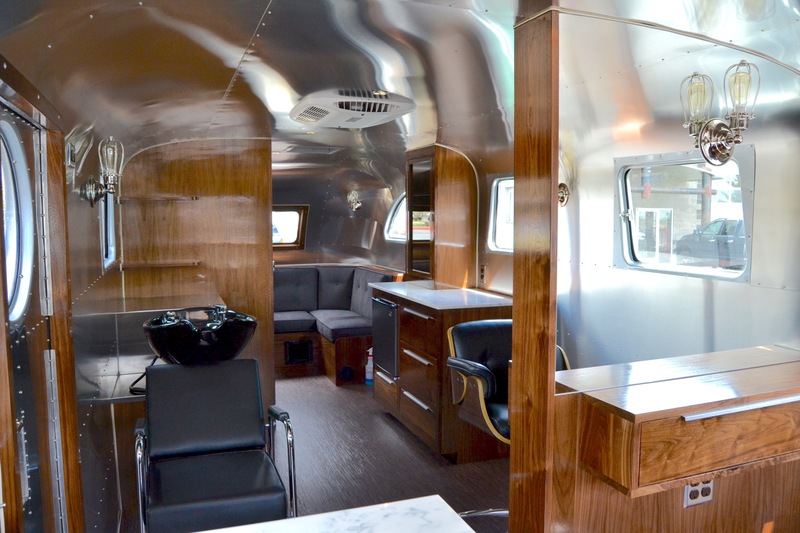 We self contained all systems so that not only will this trailer function as a fixed business, but it is also able to travel to location for special events. 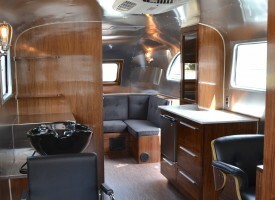 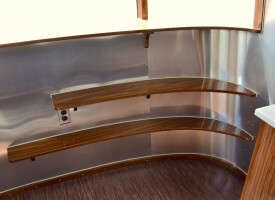 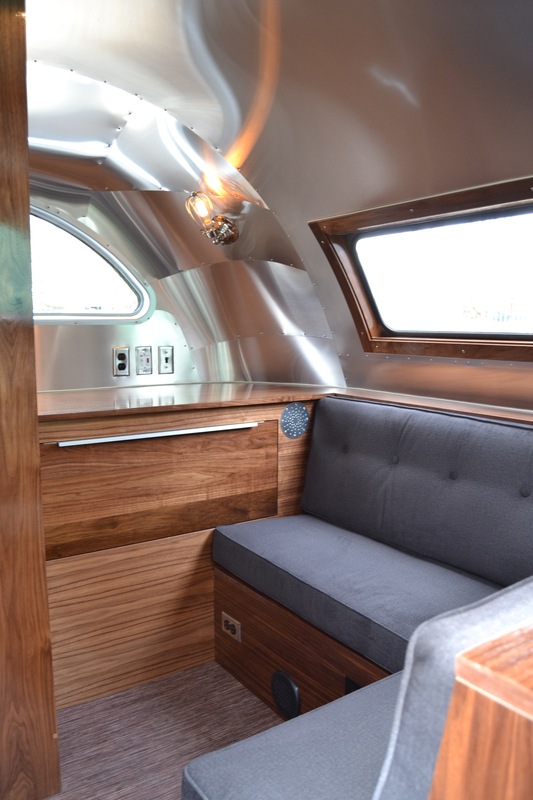 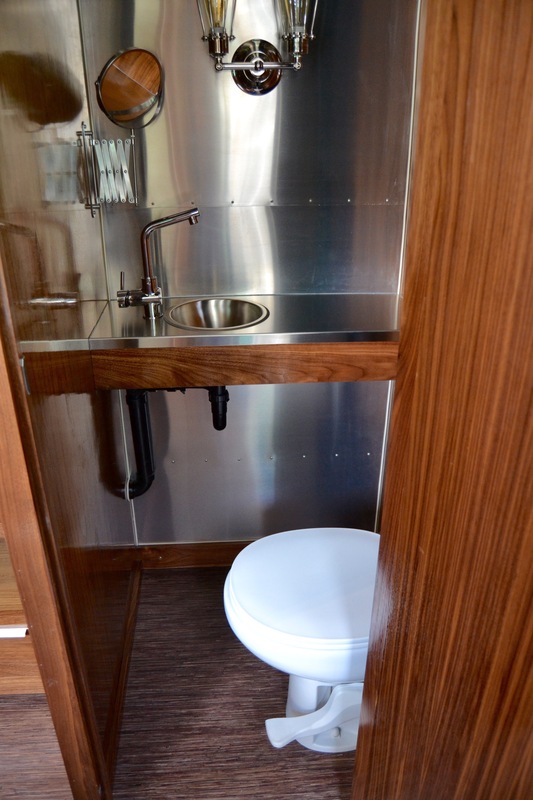 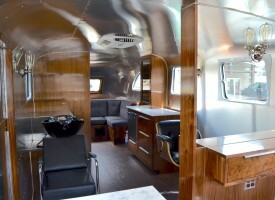 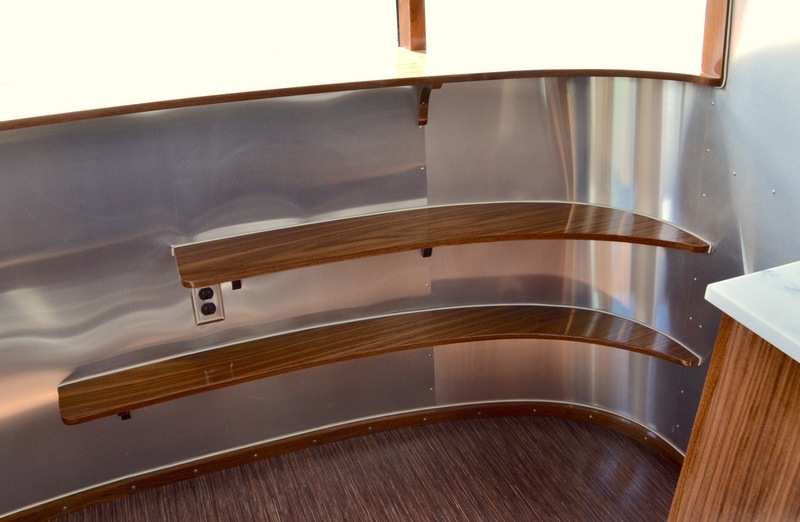 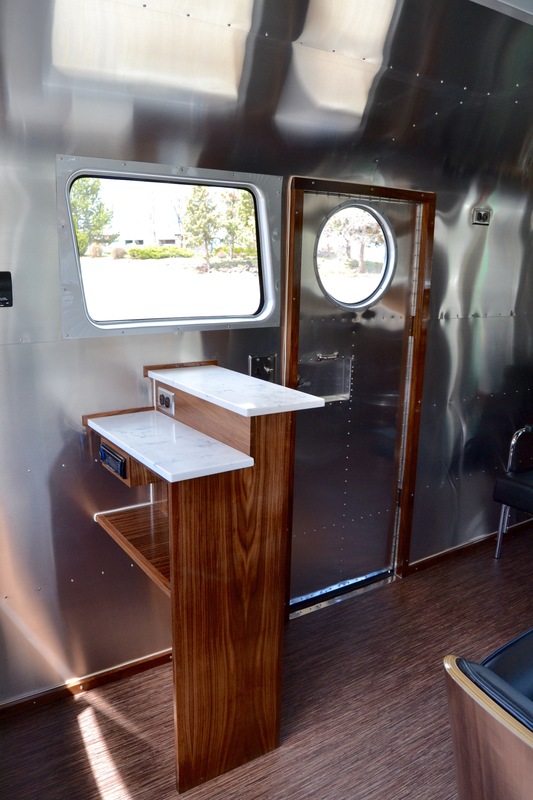 The interior was skinned in aluminum, with Walnut cabinetry and trim. 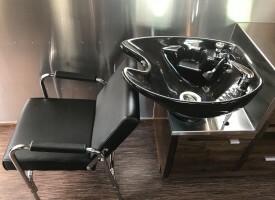 The salon features a reception counter, two hair cutting/color stations, a wash station, a mixing station, a bathroom, and a rear lounge. 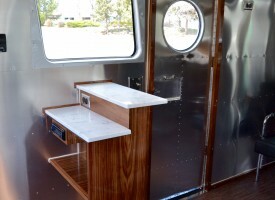 Countertops are a combination of Quartz and Stainless Steel. 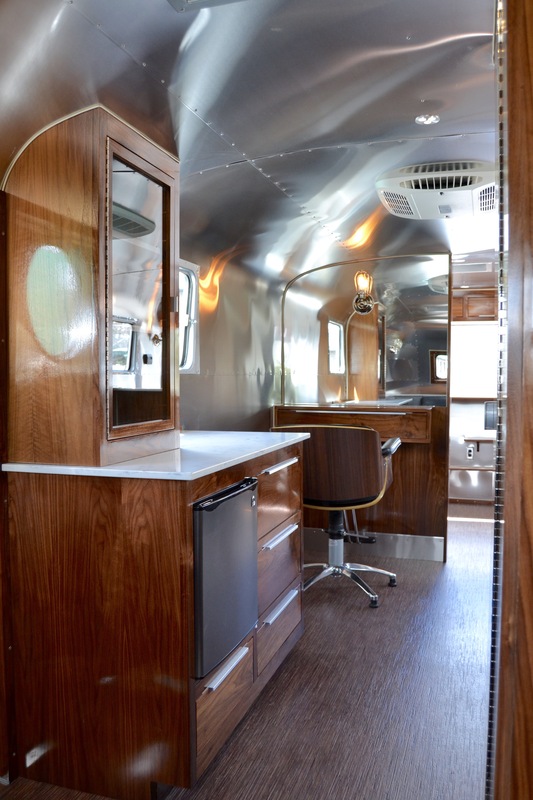 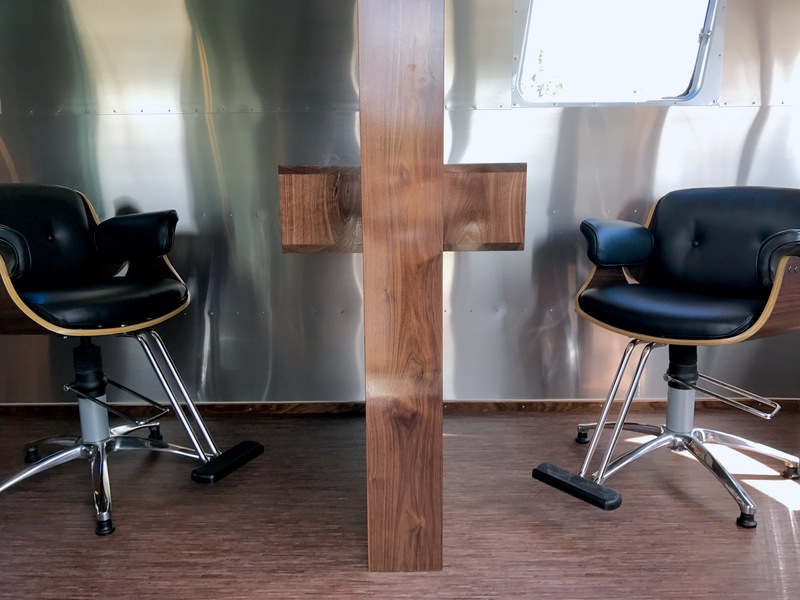 We accented the trailer with vintage inspired caged sconces, display shelving and aluminum hardware. 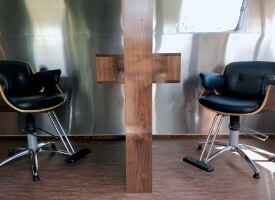 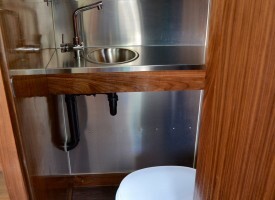 The trailer is outfitted with on-demand hot water, A/C, Fantastic Fans for additional ventilation, and surround sound. 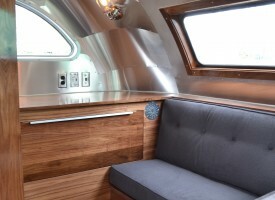 This is style and innovation at it's best! 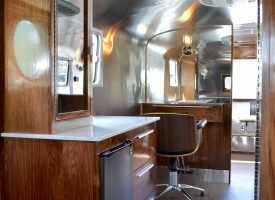 Please contact us if you are interested in incorporating a vintage trailer into your business plan.